child has learned mistrust somewhere along the way, and therefore appears less friendly. Whatever the case, behaving in a friendly way is not only beneficial to other people, it's also beneficial to the person itself. The friendlier a child may be, the more opportunities may lie in front of them, and the easier their path in life may be. Being friendly may also contribute to a high self-esteem, and general sense of happiness. I'm all for being friendly! Play Dates - Provide play dates and social opportunities for children to play together. Respect - Teach children to be respectful, accepting, and polite to others. Listen - Teach good listening skills such as providing eye contact, asking questions, responding to what was said, and nodding one's head. Compliment - Compliment and appreciate others. Praise a child when they have been caught being friendly. Practice - Role play friendly behavior and practice making introductions. Model - Model friendly behavior. 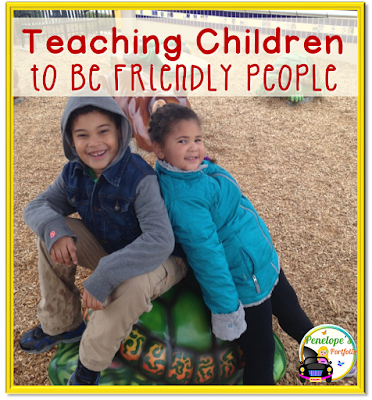 To help teach this skill to children, I created a Friendliness Packet. 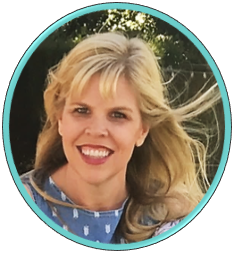 This may be used by teachers, parents, school counselors, social workers, special education teachers, speech therapists, and other specialists. Included in this packet are activities, printables, posters, awards and more. Love is blind; friendship closes it's eyes.